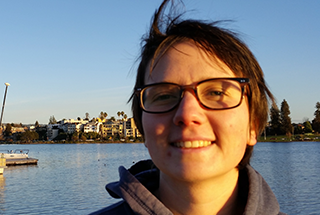 Charlotte joined Altmetric as Implementation Manager in September 2017 shortly after moving to London from San Francisco. She is passionate about Open Access, having come to Altmetric from the journal PLOS ONE, where she supported journal contributors from submission to publication. In addition to academics in the digital age, she is enthusiastic about a wide array of things, including beer, fossils, chocolate, botany, public history, and climbing rocks. Favorite donut: the classic cinnamon sugar cake donut. I’m responsible for helping new customers get implemented with our products, especially Badges for showcasing the attention to published research, and the Explorer for Institutions database. In an average day I work with an amazing team of developers to set up custom database integrations, track new sources like book publisher sites, and have calls with customers from publishers, institutions and organizations around the world. The best part of my job is hearing directly from customers about the ways in which altmetrics are changing how they view impact, and working with a really talented team of developers who effectively do magic. The most interesting thing I’ve learnt since starting at Altmetric is that the humanities fields are currently grappling with interesting questions about how to evaluate impact, and how they can benefit from tools and publishing models that have been seen as STEM-specific, such as Open Access and altmetrics. The thing I’m most looking forward to next is getting more involved with trainings to help Altmetric users get the most out of the data we have to offer.